We’ve built our reputation in South Florida on a strong foundation of trust. Customers come back to us when moving again, and recommend our services to friends and family. That’s because we take our role in your move seriously, making sure to be at your side for each step of the process. From placing your belongings in that very first box, to unpacking the last, Orange Movers is the relocation company you can rely on. Moving to another home is never easy, especially when it comes to moving to a different city. There are many things you need to think about, such as packing, or how to find the best storage in Miami Beach. And the most important thing is to find the right moving company you can trust. But, what are the qualities of good and reliable Homestead movers? Read on to find out more about our Homestead movers and the services we offer. 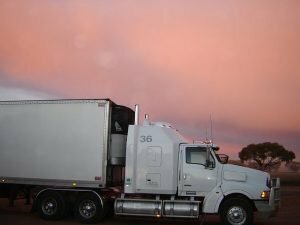 Why is hiring reliable Homestead movers so important? As you probably already know, moving is a really stressful event for everybody. You first need to find a new home, then to set the moving date, pack all your belongings, and transport them to your new place. Doing all of it all by yourself is not a clever thing. When you hire professionals that provide Florida moving services, you can be sure that they will help you with everything. No more worrying, no more hurry, no more stress. And if you choose the right ones, your move will be quite an enjoyable experience. What should good Homestead movers be like? When you prepare for the move, there are countless home movers that you can hire to cope with the move. With that many options, how can you be sure that you hired the best company? Be sure to hire a moving company that provides you with the important qualities listed below. Plenty of times you hire companies just because one of your friends recommended them. And there is nothing wrong with it. You should always trust your friends’ judgment. But, sometimes, they cannot recommend you, anyone. That is the moment when you turn to the Internet. The first thing you will do is to use Google to look for the right Homestead movers. If the company’s website is on the first page of Google search, then you know they are doing a good job. Another important thing is the company’s presence on social media. Successful movers will always want to show how good they are using Facebook, Twitter, Pinterest, and so on. Their social media pages are also good for reading other people’s experiences with the company. And, also, always check websites such as Yelp to see the recommendations of other people. All your experience of moving begins with and is based on the experience of the representative of the company. To provide you with the best service, a representative should be friendly and interested in your specific needs to help you organize an easy move. They should know all company policies, be able to answer any of your questions. And be there to work with you from the first contact with subsequent supervision after moving. First of all, researching online reviews and other sources of customer feedback is something you must do. In addition to that, you should also ask for references from customers in the last 12 months. Reputable Homestead movers that offer excellent service and are proud of the services that they offer, should be able to provide you these references on request. 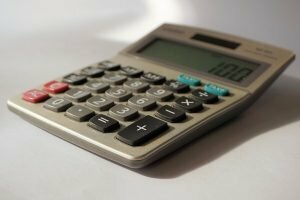 Accurate calculation of the costs of your move is necessary to avoid the possibility of unexpected fees. Or a possibility of not getting a service for which you believed that you are paying. Eliminate this problem by working with a moving company that sends a representative to your home to make an accurate inventory list. The representative of the moving company must provide you with a full explanation of all fees, services, insurance inclusions and exceptions that reflect the distance of your move, your specific inventory and their hourly rates. The company should also offer you a choice of both binding and non-binding evaluation. It is extremely important not to believe online estimates only. The estimator must come to your house to check everything. It is crucial to understand the differences between online quick quotes and the binding contract. Workers who go to pack, load and unload your things, must arrive on time. And they should work all the time when they are on the job, stopping only for short breaks, when necessary. They should be cleanly dressed, polite and professional and take care of your possessions. Household movers should always send a sufficient number of workers to do the work in the specified period of time. If you feel uncomfortable with the service, stop workers and talk to your representative before everything is done. Along with sending the required number of skilled and polite workers, the local moving company must have all the necessary equipment to ensure a smooth and safe movement. Trucks must be in good condition. Workers must arrive with safety equipment, as well as lifting and moving equipment they need to load all your items. All respectable Homestead movers will usually call a few days after your move. They want to make sure that you received an excellent service and to ask if something was damaged. They should advise on how to handle claims for damages and solve any other problems that you may have. A representative may also ask you to provide a feedback if you have had a positive experience. Why should you choose us as your Homestead movers? Choosing the right company can take some time. An excellent moving company can make your move smooth and stress-free. You must find reliable Homestead movers that possess these qualities. And look no more. Orange Movers Miami can offer you a completely professional service for your move. We understand how difficult move can be, and we are trying to make it as smooth as possible. Looking for Movers in Homestead? If you’re planning a local move in Southern Florida, you’re in luck. Orange Movers offers great deals for moves into or out of Homestead within 100 miles. Not only is the price right, but you’ll get ten free boxes to get you started and a free month’s worth of storage for when your new home isn’t quite ready for all of your stuff. Call us today to find out what types of deals we have that can help take the strain out of changing homes. The small town life of Homestead is ripe in business opportunities. 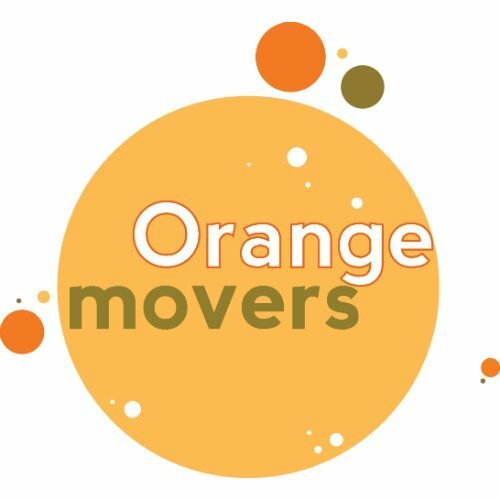 If you’re thinking about relocating yours to this idyllic community, Orange Movers will move you at a budget friendly price. Our experts in commercial moves can take on large inventories, office equipment and whatever else it takes to keep your business running smoothly. Whether moving in to Homestead or moving up to a bigger business space, we’ll get you set up quickly so that your company doesn’t miss a beat. If you are starting to worry about the cost of getting Grandma’s baby grand into your new house, give Orange Movers a call. We have moved thousands of heavy or awkward objects securely, without having to charge a fortune to do it. Backyard statuary and fine art moving is just one of the many special services that our pros are happy to perform. Get up front pricing now by giving the Orange Movers professional team a call. Not all Southern Florida moving companies are as upfront as we are. You could find yourself with an unscrupulous mover, who tacks “extras” on your bill after you’ve moved in. Avoid this headache with Orange Movers, where the cost you sign up for is the price you’ll get. We have various moving deals available that make it easy to find one that fits your budget, and won’t try and extend it once the job has been done. When we say full service movers, we really do mean a full service move. Our movers show up on time, wrap and pack your items and load them onto their truck. Large furniture and beds are taken apart only to be put back together at your new Homestead address. Don’t be left at home sitting amongst a sea of boxes, let us help you to get set back up. Full service for Orange Movers means leaving you in your new destination more comfortable than where you just left. All This and Free Stuff Too! Our local moving package into or out of Homestead comes with its own perks, like free boxes to get started packing. If you need a spot to hold your stuff in between homes, no worries, we’ll give you a free spot inside of our secure storage facility for one month. It is these little perks and privileges that make us stand out as a premier moving company in Florida. Call Orange Movers now to see what else we have in store for you. There is no avoiding the cost of moving to a new location. Little things like letters for your mailbox and rugs in the kitchen can add up fast. With Orange Movers you’ll have more money left over for those small purchases that help make a new house feel like home. Our pricing packages give you flexible options, allowing you a stress free move, without breaking your bank. When you speak with one of our moving experts, make sure to ask to make you happy with their price. Orange Movers is made up of dedicated and friendly professionals whose first priority is your complete satisfaction. That’s why we are always upfront with our costs and walk you through what you can expect from our services. You are under enough pressure planning a move to Homestead, but we do our best to relieve that for you.